The appeal, which has come in the form of a letter signed by the Prime Minister, was released by the BJP on Tuesday, a day ahead of Congress vice-president Rahul Gandhi’s visit to Surat. 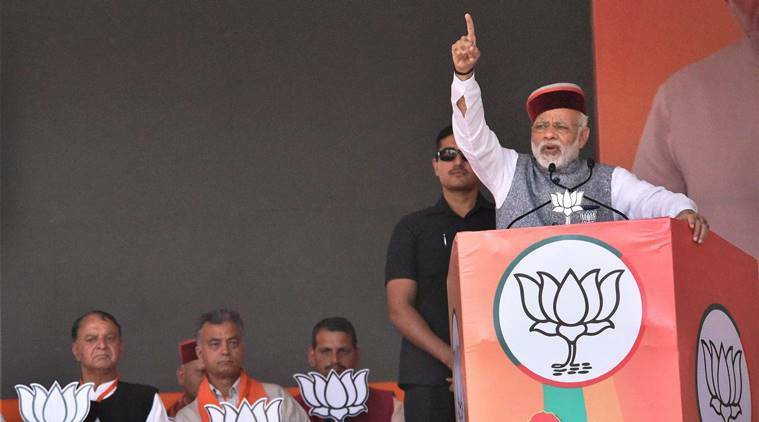 With the BJP facing a stiff challenge from the Congress and three youth leaders — Patidar quota leader Hardik Patel, Dalit leader Jignesh Mevani and OBC leader Alpesh Thakor in Gujarat, Prime Minister Narendra Modi has urged the people to vote for the BJP in the state elections, saying it is “our collective responsibility to save Gujarat from these casteist, communal and dynastic forces, and create a bright future for our youth”. The appeal, which has come in the form of a letter signed by the Prime Minister, was released by the BJP on Tuesday, a day ahead of Congress vice-president Rahul Gandhi’s visit to Surat where he is scheduled to meet textile traders on the first anniversary of demonetisation. In the letter, Modi talks about how the youth “cannot even imagine what Gujarat was in the past”. “Only, and only for political self interest, our Gujarat has been torn apart on caste and communal lines…. Certain power-hungry people have again got into this selfish (divisive) game,” he said.